The ytterbium laser light is created inside the laser unit. Laser light created at the resonator is transferred to the cutting head by fiber-optic cable without loss of power or quality. In this way laser light with a high beam quality appropriate for metal cutting is provided. Sheet metal processing is one way of using the laser light beam. 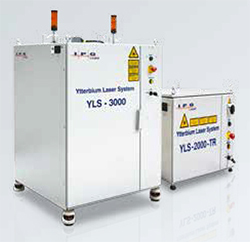 The latest technology in flat sheet metal working machinery is the solid state laser, also known as the Fiber Laser. Brief description of cutting with Fiber: Laser light created in the resonator is transferred flawlessly by fiber-optic cable to the surface of the sheet. The cutting process begins when laser light and assist gases (oxygen, nitrogen or compressed air) are focused on the material. With the help of proven technology tables all axes are controlled precisely and parts are processed without the need for manual intervention. 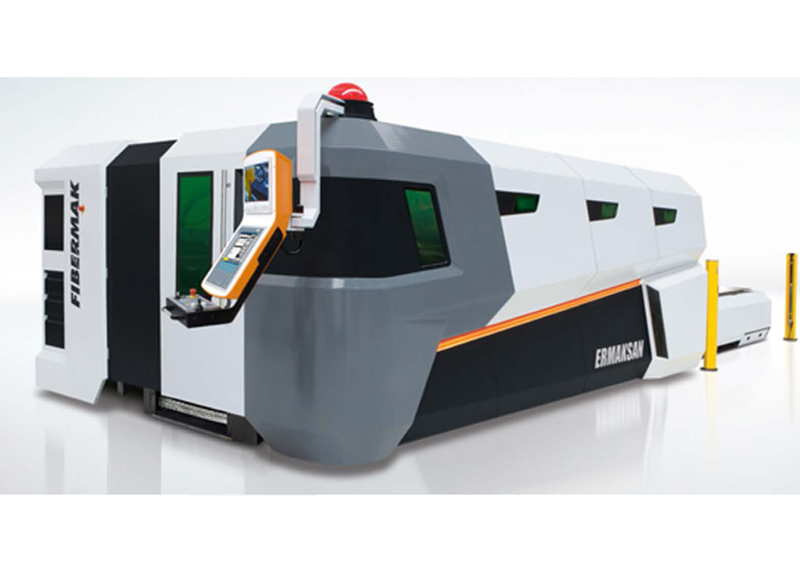 is a unique machine having ultra low energy consumption and very fast cutting capability with minimum maintenance cost. The ytterbium laser light is created inside the laser unit. Excitation is performed by laser diodes enabling high efficiency with low costs. Laser light created at the resonator is transferred to the cutting head by a fiberoptic cable without loss of power or quality. This provides a high beam quality appropriate for metal cutting. The Power range of resonator source is between 500W and 6 kW. As the wattage increases so does the cutting speed and capacity respectively. The Power range of resonator source is between 500W and 6 kW. As the wattage increases so does the cutting speed and capacity respectively. In any defective situation, part changing is easy because modules are designed for plug-n-play. It provides a convenient working area by absorbing little particles and smokes occur while in production. It automatically works once the cutting starts. The suction cells open actively according to the cutting heads position. This provides accurate absorption. Fibermak’s automation equipment modules consist of Drivers, IO units, height sensor, focal unit, Shuttle table equipment etc. and their connections. The automation Board enables the correct connection and cabling in the system resulting in a less defective ratio. The conveyor is situated under the cutting area where small parts and scraps drop to a wheeled container. It has two dynamic tables allowing continuously production while processing goes on. The operator collects cut parts and loads the next material for processing. Fully automated loading – unloading systems. Shuttle with the balance control system. The balanced control provides smooth vertical movements for each shuttle table ensuring a controlled descent with heavy loads, preventing the collapse of parts. The laser beam is delivered to the cutting head by fiber optic cable. The fiber optic cable is fixed to the input of cutting head. The laser is delivered to the focusing unit after being aligned in the collimator. The laser beam is set to desired focus using the lenses in the focusing unit. The protection glass protects the lenses from the particles which are caused by the cutting operation. The sensor insert is part of the elevation control system and helps to adjust the distance between material and cutting head. Elevation control is checked with the most precise sensors in the market. This helps to produce better cuts. The main function of the ceramic is to protect the cutting head. The nozzle is used to control the assist gases. It is also a part of the capacitive control system. The most time loss is during the cutting and movement between the parts. Here, the acceleration of the axes is very important. Fibermak servo motor machines run, 1.5 G acceleration and 2.4 m/sec speed, linear motor machines run 2.5 G acceleration and 2.8 m/ sec speed. This provide a serious time advantage passing through the parts. Lift type transition enables high-speed movement between partsVelocity and accelaration speed is important while moving between the parts. FIBERMAK Momentum Gen-2 uses part and aperture avoidance, raising the cutting head in the cycle, which allows you to reach maximum speed. The cutting of part A is finished, the head moves to part B. The cutting head uses maximum acceleration and speed by using an Arc movement. Using EtherCAT connections allows for ultra fast communication result in the faster control. Increasing the speed of control, ie Laser on/off speed, gas on/off speed etc. increases cutting capacities. Both circular and equilateral parts can be cut with Fly-Cut feature of Fibermak Momentum Gen-2. G code flow is important when performing any action on the Fibermak with a CNC controller. G code flow on the Fibermak is designed to achieve the desired result using the shortest route. The time loss is minimized during operational transitions. It provides high- acceleration and fast motion with high power motors. Ultra fast communication with EtherCAT. Lift passing-type provides an ultra high transition between parts. For thin material: No Pierce, No Lead In, prevents unnecessary time and energy loss. 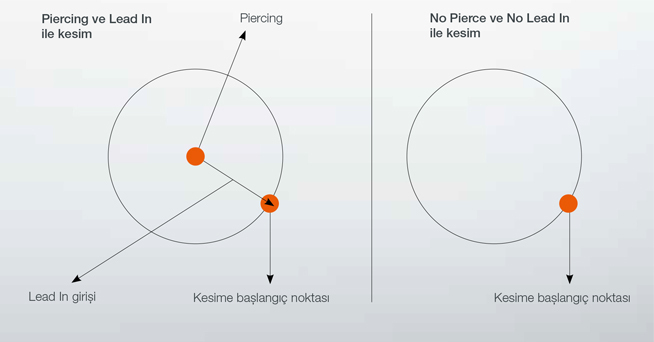 You can prevent time and energy loss while cutting thin materials by using No Pierce and No Lead In features. Fibermak Momentum Gen-2 incorporates fast part processing techniques allowing you to save time and reduce energy waste during production. Cutting thin sheet metal without piercing gives a significant economic advantage. No Lead In is cutting without passing, providing much faster cutting speeds. Ermaksan qualified team is providing flawless customer support using extensive technical service. The working principle of the Linear Motor is based upon the laws of magnetism. Two magnets apply force to each other when placed face to face. If opposite poles are placed, the magnets will pull together, if same poles are placed magnets will push apart. 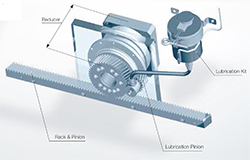 The moving part of a linear motor is directly coupled to the machine load, saving space, simplifying machine design, eliminating backlash, and removing potential failure sources: Ballscrew systems, couplings, belts, or other mechanical transmissions. Finally, the bandwidth and the stiffness of the motion system are much higher, giving better positional repeatability and accuracy over unlimited travel at higher speeds. 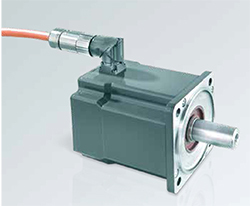 On Linear Motors, position information is read from linear encoders by an optical receiver. 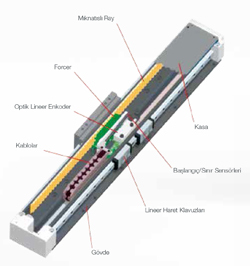 Linear motors are working in a frictionless environment.